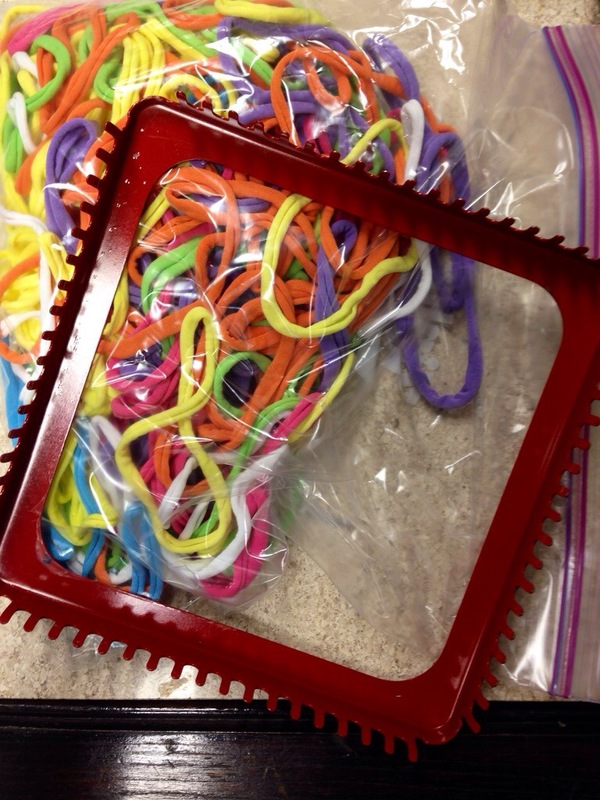 In case you didn’t know, the above is a loom with a bag of loops. These are used to make potholders. 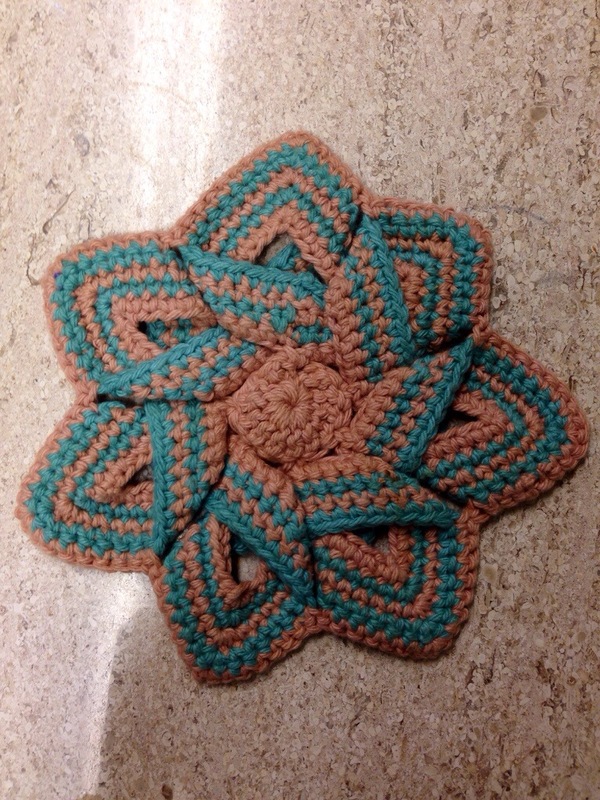 As a child, I made somewhere close to 40 million of these potholders. I know all about nylon loops versus cotton loops. I made so many, that I eventually invested in a metal loom. The plastic just don’t cut it, you know. 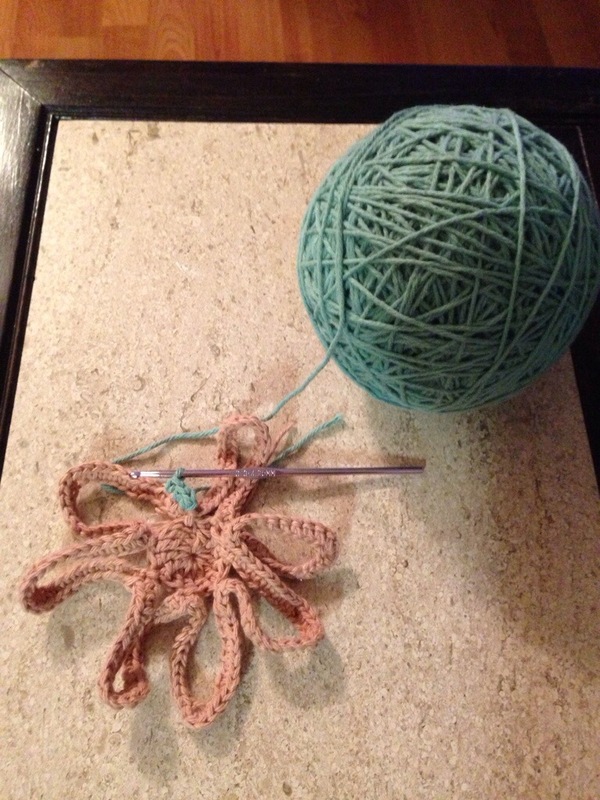 After a while, they crack in the corners and break (which is super annoying if you’re 12 and you’ve decided you want to make a quilt of potholders since you don’t know how to quilt for real, or crochet, or knit, but you want to make a blanket). 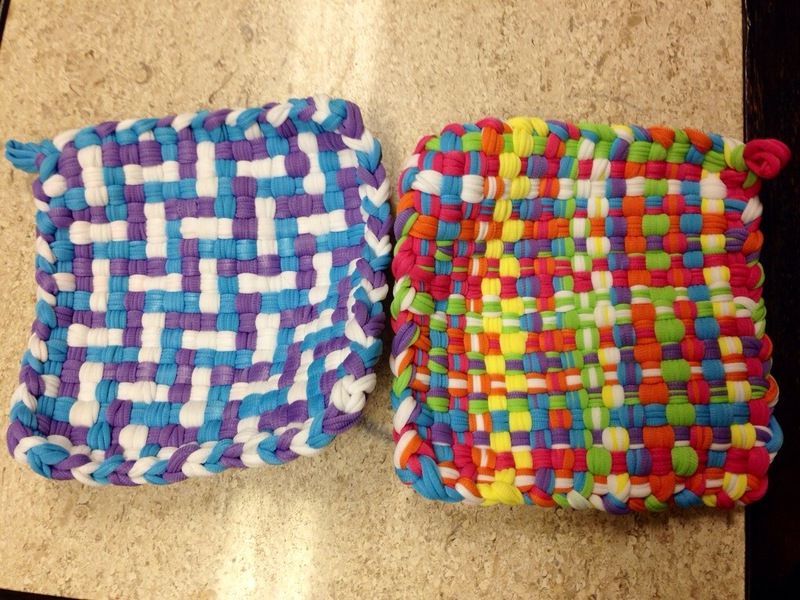 S and I needed some potholders for our house. S’s mother gave me some loops, and my mom found my old metal loom. 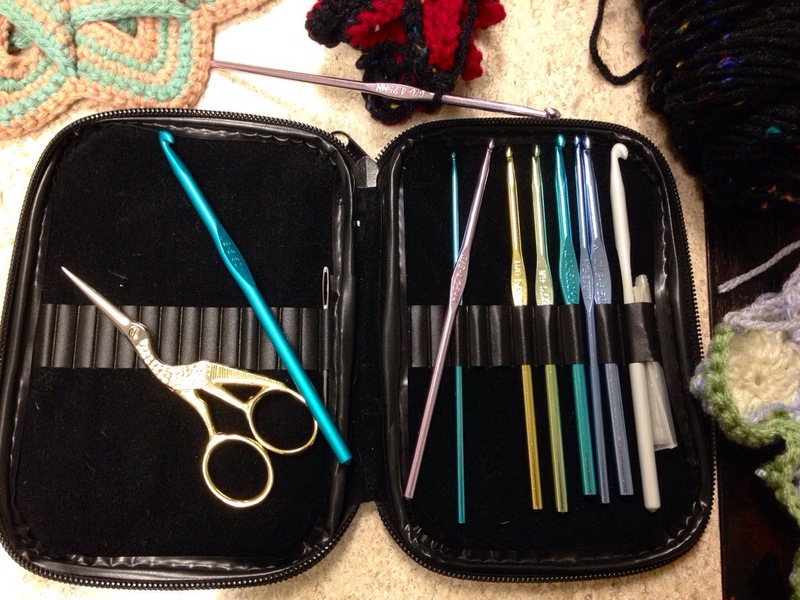 I also looked into some crocheted potholders. A lot of the patterns I saw were ugly, but I did finally find one that I like. It starts out looking a little like an octopus. But ends up looking like a flower! This one was my first attempt. With this particular yarn, I think it works better as a trivet than something to pull a hot pan from the oven with – you’ve got to watch the holes.